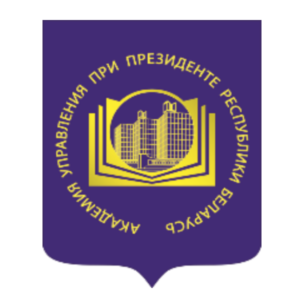 The Academy of Public Administration under the aegis of the President of the Republic of Belarus was founded in 1991 and was called the Academy of Public Administration under the Council of Ministers of the BSSR. In 1995, the Academy gained the status of a presidential institution. Nowadays the Academy is among the country’s most prestigious educational establishments and occupies a leading position in the system of training, retraining and in-service training of managerial personnel from state authorities and organizations. Since the institution’s foundation, more than 85 thousand students have been educated within its walls. Among the Academy’s alumni are many people widely known all over the country: high-rank officials, deputies, heads of enterprises, organizations and institutions, those who take care of the today and the tomorrow of our country, its social and spiritual spheres, who present Belarus in the international arena. In the Academy the training of highly qualified specialists in the field of public administration, as well as retraining and advanced training of leading cadres: Civil Service Institute, Managerial Personnel Institute, Theory and Practice of Public Administration Research Institute. Annually more than 9 thousand people study at the Academy. The educational process is provided by 15 departments, which employ a qualified faculty. The Academy has a distance learning system. This system is a form of obtaining higher education using modern computer educational technologies and gives students the opportunity to be trained remotely from own computer through the educational network of the Academy. The curricula are compiled on the basis of the synthesis of world experience and the best domestic traditions of training specialists at the university level and include cycles of humanities, science, mathematics, management, legal and economic disciplines.